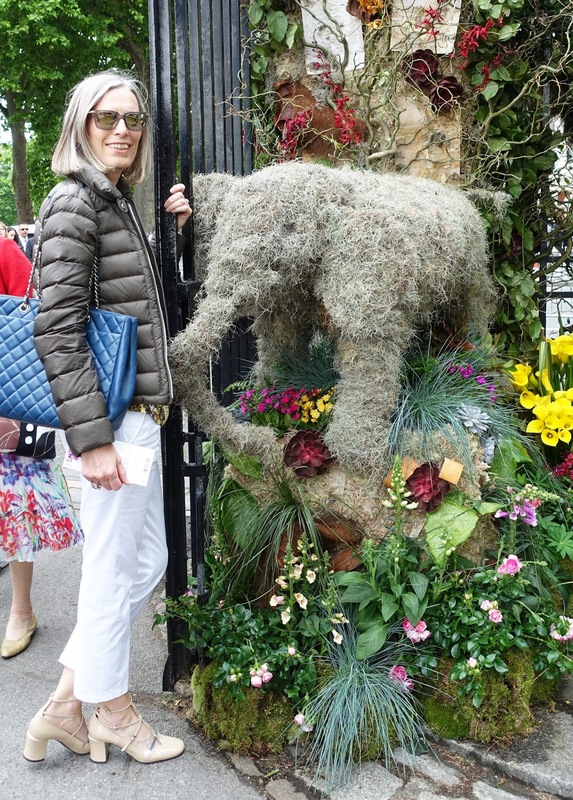 Flowers and Fashionistas | Is This Mutton? In addition to flower snapping, I couldn't resist taking pictures of some of the wonderfully dressed women. This lady was mixing orange and pink to sensational effect. 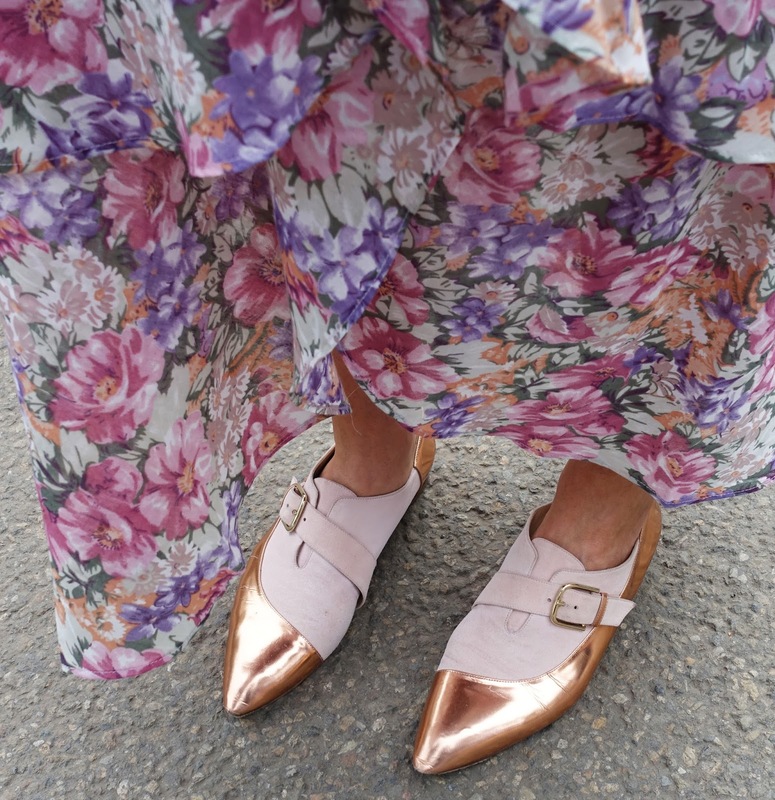 It was tricky to know what to wear: it has to start with footwear when you know there's a lot of walking involved. I decided to go with my silver flat boots. It was pleasantly warm but the sun disappeared. Boots: Asos; blue sequinned bag: Pure Collection. 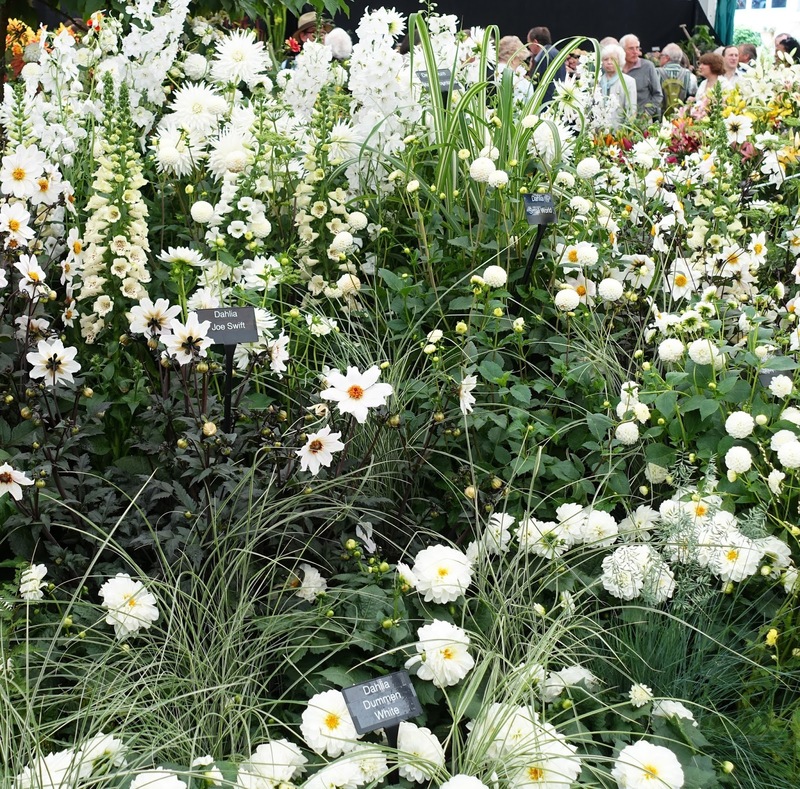 A beautiful white display inside the pavilion. 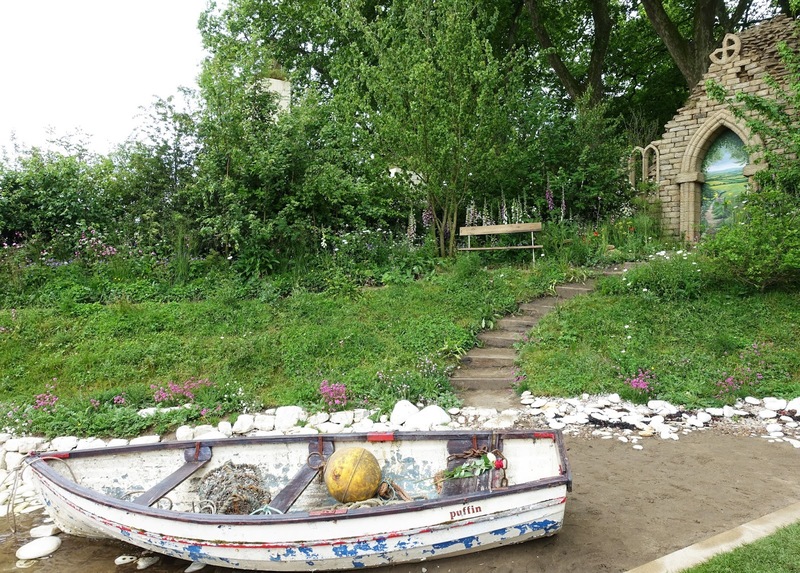 To be honest, the show gardens were a bit of a let down. Lots of naturalistic planting, sometimes in harsh urban settings. I wasn't very inspired by the planting. 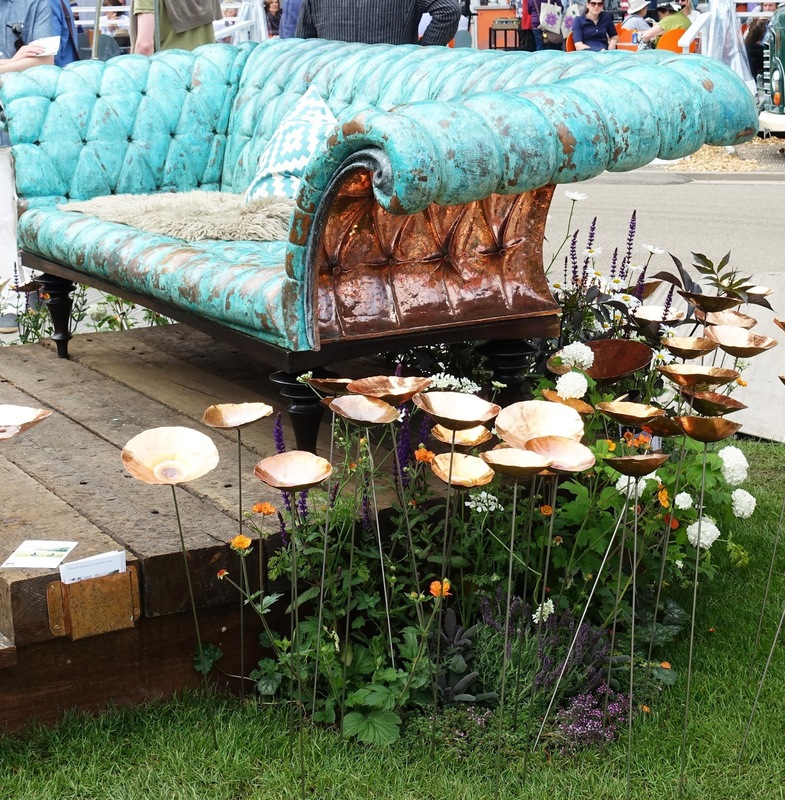 The artisan gardens had far more in the way of "wow" and ideas. The first picture was my favourite, the Commonwealth War Graves garden, though it wasn't a gold medal winner. Very eye catching combination of lime green and magenta. 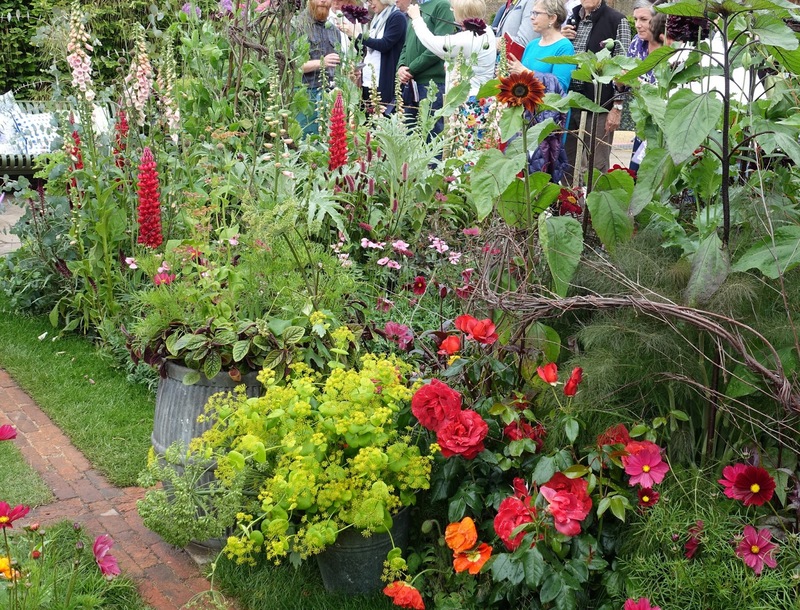 Sarah Raven's garden drew crowds with its old-fashioned flowers and charm. Showing how Converse look great in every setting. 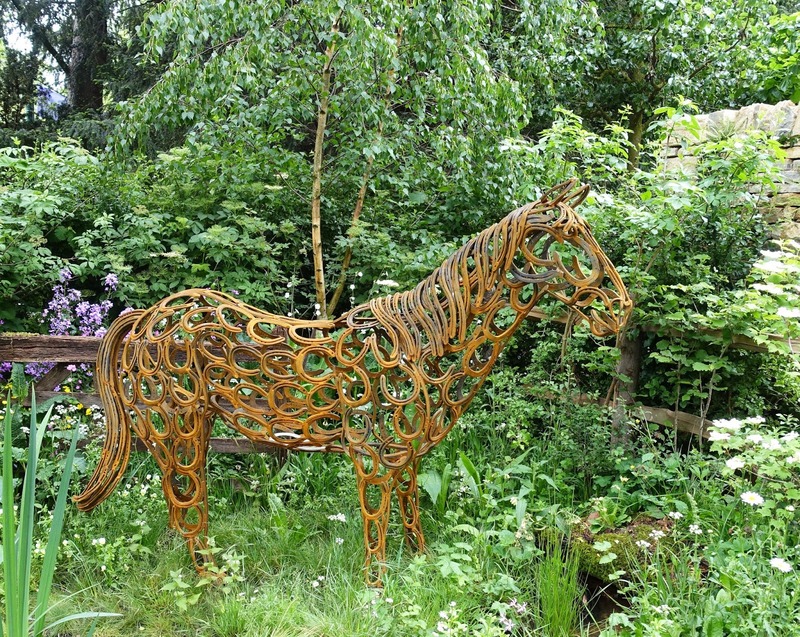 A horse made of horseshoes in an artisan garden. 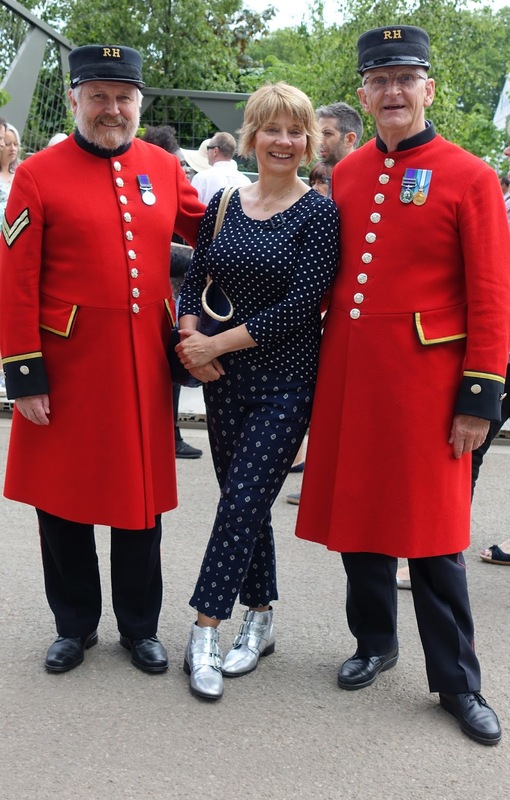 Me with two redoubtable Chelsea Pensioners. 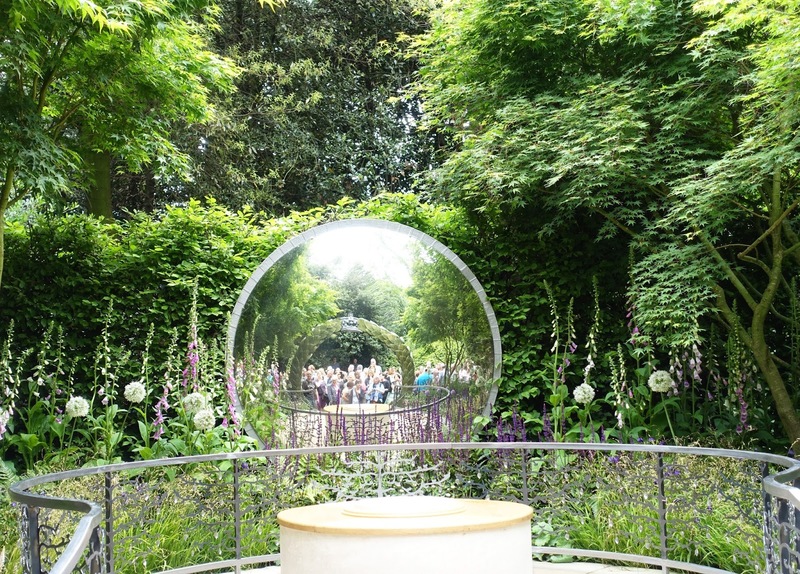 These gold spheres were everywhere - appearing in a garden near you soon! 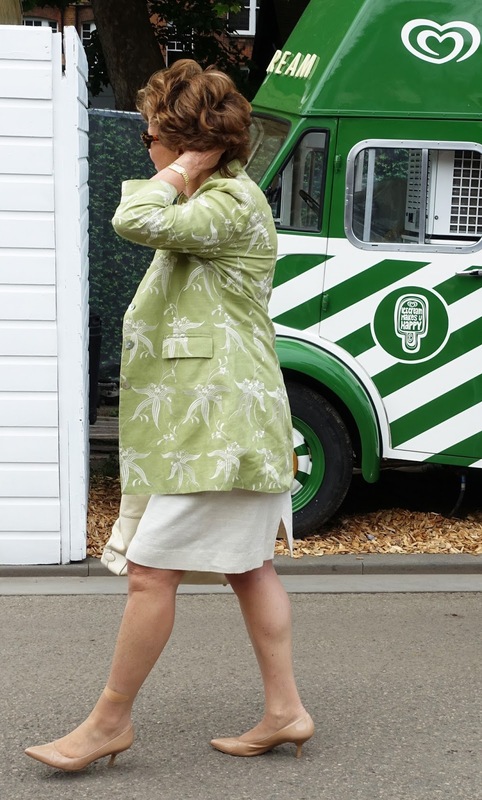 Lady in green looked great with the vintage ice cream van in green..
A fantastic pair of rose gold shoes! 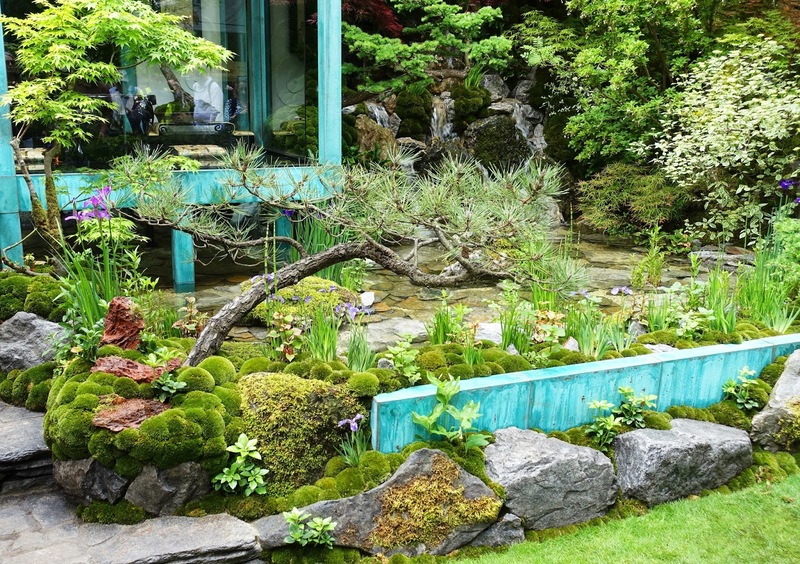 Shihara Kazuyuki's garden is inspired by the Kyoto Imperial Palace. 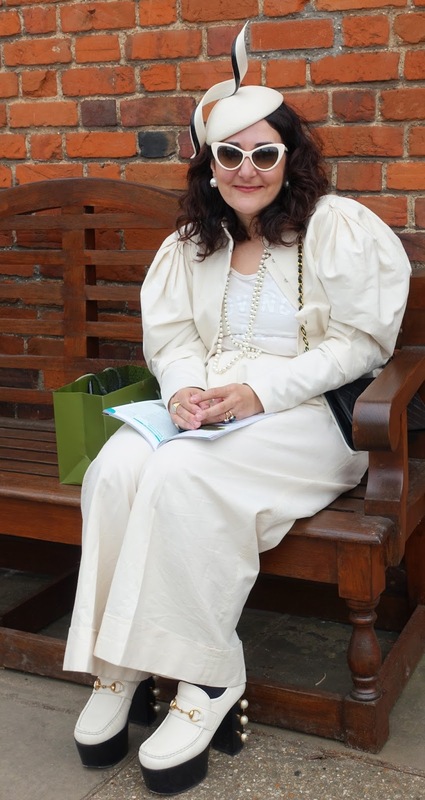 Sharing this post with Turning Heads Tuesday at Elegantly Dressed and Stylish and Style with a Smile at Style-Splash. 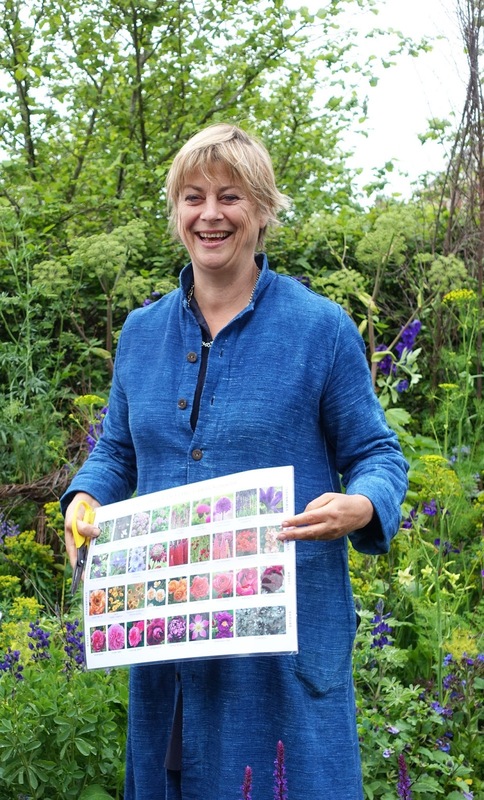 Look forward to seeing your post Jacqui! So much to see and photograph. What a great show both of the flowers and of the outfits!! I love your boots, Gail!! Thanks Jodie they fulfilled the comfort brief! I think I need some Stan Smiths or Converse in my life! You're welcome Gemma! Thanks for the visit. 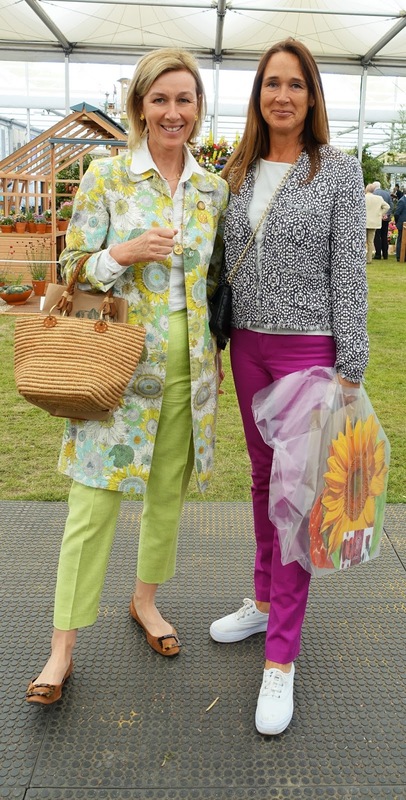 Beautiful post: all those charming gardens and charming ladies in stunning outfits! Love the combination of rhombus and polka dot in your look. Wow what fabulous pictures! And what a fabulous event. I would love to go some day! Thank you for joining Ladies Who Link Up! Hope you join us next week! I love your pattern mixing and fabulous silver boots! The lady in white wearing those Gucci shoes really pulled out all the stops! 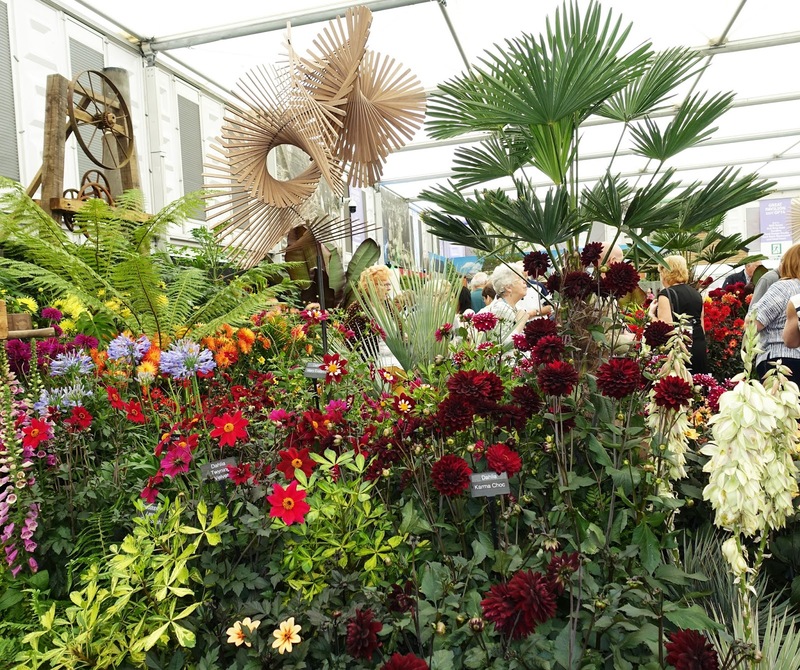 I've never been to the Chelsea flower show but I enjoyed the TV coverage.